–I´m excited to meet all the jury members again after a summer of reading, and I´m definitely looking forward to the jury discussions and to turn all the nominees work inside out. The jury’s work to find the right candidate for the 2012 award continues. The nominated candidates for 2012 will be presented at the Frankfurt Book Fair on October 13th. Shaun Tan and Sonya Hartnett, both recipients of the Astrid Lindgren Memorial Award and living in Melbourne, Australia (! ), have received prominent awards recently. Last Saturday, August 20th, Shaun Tan (this year’s ALMA recipient) was announced as winner of the Hugo Award 2011 in the category Best Professional Artist. The Hugo Awards are science fiction’s most prestigious award, and have been presented annually since 1955. The announcement was made in Nevada, USA. And yesterday, August 23rd, Sonya Hartnett (ALMA recipient of 2008) was announced as winner of the 2011 Book of the Year from The Children’s Book Council of Australia. 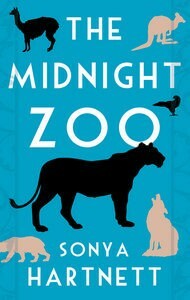 Sonya won in the category Older Readers Book of the Year, for her book The Midnight Zoo (Penguin Group, 2010). Art + Natural science = True? Göteborg Book Fair is coming up! We are really looking forward to this year’s event (opens on September 22nd! ), where we´re going to present stand programs focusing on the pictorial worlds of Shaun Tan (stand no C03:02 if you are in the neighbourhood). On Saturday September 24th: The illustrator, artist and member of the Astrid Lindgren Memorial Award jury, Lennart Eng, talks to the journalist and writer Maja Hagerman about the pictorial worlds of Shaun Tan. What does Shaun Tan’s storytelling add when it comes to understanding our history? Does his artistic design change or evolve our view of the past? What do pictures really mean for our interpretation of history? On Sunday September 25th: Lennart Eng talks to Professor of Integrative Medicine, author and debater Martin Ingvar, about the pictorial worlds of Shaun Tan, but now in a different perspective. What happens when art and natural science meet? Can a cross-pollination create new knowledge? How does the natural science researcher look upon the work of the artist? Link to ALMA program here. Link to Swedish Art Council’s program here. On Thursday the Cultural Centre of Astrid Lindgren’s Näs received an illustration of this year’s recipient Shaun Tan. Rebecka Svensén, Director of the Astrid Lindgren Memorial Award, presented Shaun Tan’s gift, an illustration called The Waterbuffalo which is included in the short story with the same name in the anthology Tales from Outer Suburbia (Allen & Unwin, 2008). – We are very happy and grateful for this gift, says Kjell Åke Hansson, Managing Director of Astrid Lindgren’s Näs. 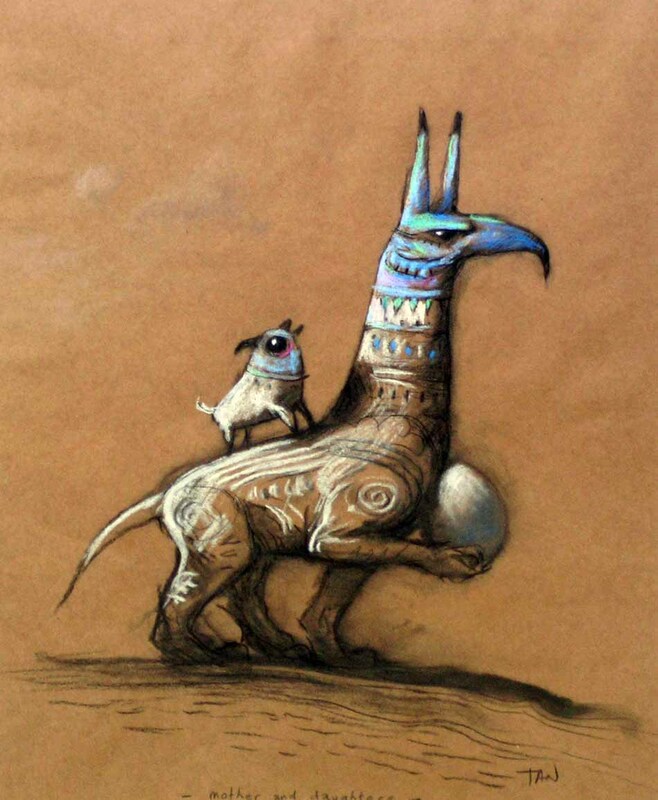 Shaun Tan is an amazing artist and his visit to Näs last May was very much appreciated. 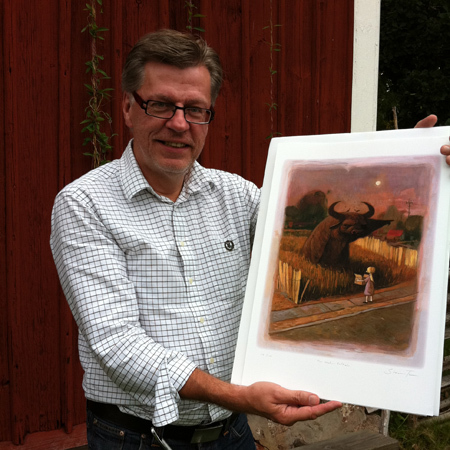 It was during the award week last May that Shaun Tan visited Vimmerby, the birthplace of Astrid Lindgren. He visited Astrid Lindgren’s childhood home and made a popular public appearance at Astrid Lindgren’s Näs. 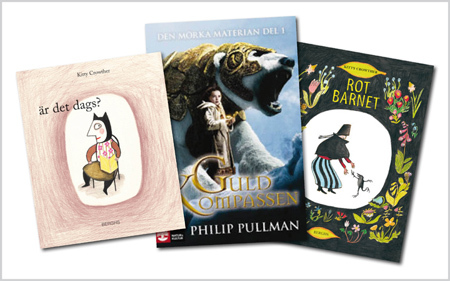 Today, three new reading guides (in Swedish) are launched on our website; 2010 award winner Kitty Crowther’s Är det dags? (Berghs, 2008, original title Alors?) and Rotbarnet (Berghs, 2011, original title L’enfant Racine), as well as Guldkompassen (Natur&Kultur, 2008, original title Northern Lights) by 2005 award winner Philip Pullman. The reading guides are tutorials for anyone interested to learn more about the ALMA laureates and their works. They can be used in book clubs, by teachers for school work or simply as an inspiration for further reading. The reading guides are written to increase the knowledge of the award recipients among children, young people and promoters of reading but the aim is also to bring the literature to life. – With the help of the reading guide, it’s possible to get beneath the surface of the story, and deepen your reading and interpretation of the book. My hope is that the reading guides will be used as tools for opening the reader’s eyes, thoughts and experiences to the book, particularly when teaching literature in schools, but also as an inspiration for any book reader. Link to reading guides here. Very scary and exciting. Maybe it´s about the future. Has everything a book should have. The complicated parts must be taken as a challenge. Even adults can read it. I sat crouched in a corner of our sofa when reading it, and didn´t let mum leave the room. …I have started to look around the corners and, like, look behind my shoulder. The award amount is 30 000 SEK (approx. 3 100 EUR). 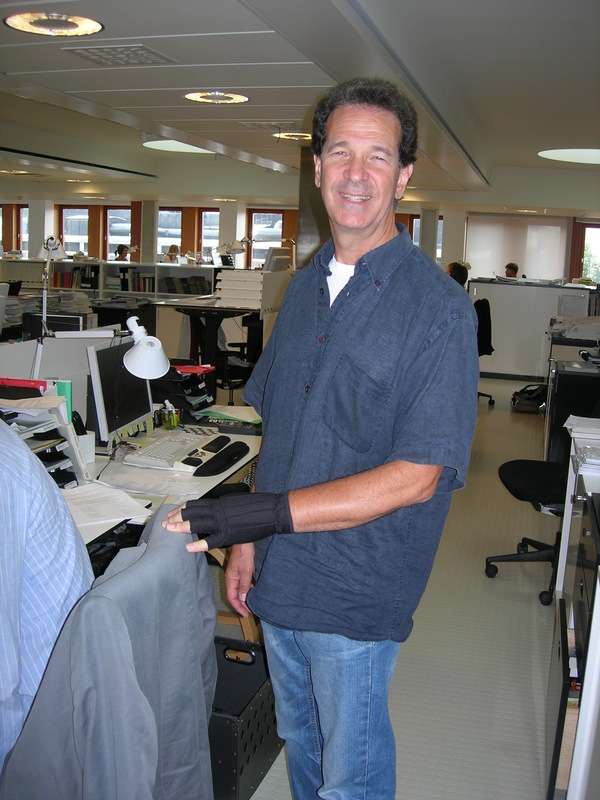 Stefan Casta is an author and member of the Astrid Lindgren Memorial Award jury. Today, an exhibition with over 30 original paintings and prints by Shaun Tan opens at the Illustration Cupboard in London. This is the first major exhibition of Shaun’s work in Britain. In an exciting multi-media event, working drawings, studies and finished artwork have been chosen by Shaun from his own collection for display. A selection of these will be available for purchase providing the collector a rare collecting opportunity. Around twenty pieces of original artwork will focus on his books, Tales for Outer Suburbia and the new publication The Bird King, a 128 page ‘sketchbook’ of previously unpublished drawings and notes for projects realised and unrealised. The exhibition will be going on until September 10th. 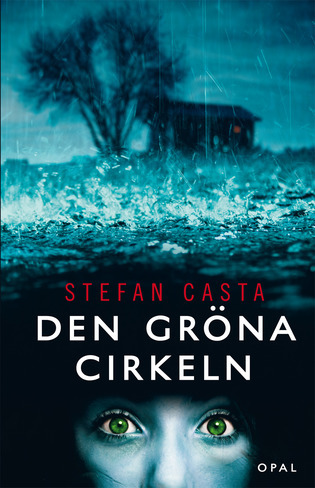 Stefan Casta, author and member of the Astrid Lindgren Memorial Award jury, is nominated to Swedish national Radio’s book award for authors of children’s literature (“Barnens Romanpris”), with his book “Den Gröna Cirkeln” (“The Green Circle”, our transl., Opal 2010). The jury actually consists of children (three girls and three boys,) who will discuss and vote for the 2010 best children’s book for ages 9-12 years. – I wanted to write a really uncanny story, one of those which make your hairs rise on your arms, Stefan Casta says. 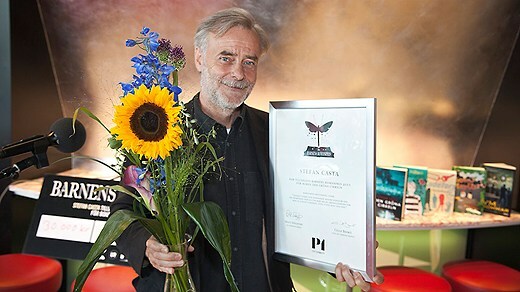 Stefan has earlier won a number of awards and distinctions, for example the Ilona Kohrtz Award for services to literature in 2006, presented by the Swedish Academy. The other nominees are Sara Kadefors (with the book “Nyckelbarnen”), Bo R Holmberg (with “Alice varannan vecka”), Mårten Melin (with “Som trolleri”) and Magnus Ljunggren (with “VM-Sommar”). Follow the jury’s discussions on Swedish national Radio P1, on August 9-12th at 11:03 CET. The winner is presented next Friday, August 12th. – It’s really great that The Arrival and The red tree now reach out to so many readers. The Red Tree got a flying start in terms of sales when it came out in May, and we´re already doing a reprint. Fourth edition of The Arrival is on its way to our warehouse from the printer, which is amazing. I don´t know how many people have told me how they have fallen in love with Shaun Tan’s images, and they don´t just buy the book for themselves, but also to friends as gifts. So what´s the key to this success, do you think? – People love to talk to friends about books which arouse strong feelings. After twenty years, I know that these are the books that come in new editions. We all rely on recommendations from other readers we know, and both The Arrival and The Red Tree are books you´d like to talk about. Then it is obvious that the huge attention of dozens of newspapers when Shaun Tan was visiting Sweden, in connection with the award ceremony, matter for the attention of his books. 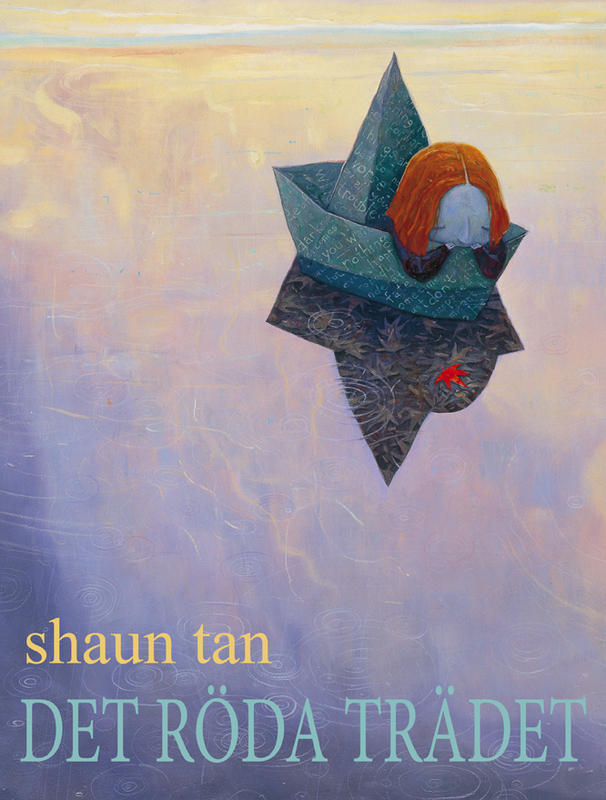 When can we expect next book of Shaun Tan in Swedish? – Tales from Outer Suburbia will be published in the spring of 2012.